entering the code 'GOOGLE50' at the checkout'. Your site will work with any domain name you own. You can also buy a domain name from us or choose our business plan and get a domain for free. Only fresh, modern designs are good enough for template library. Our professional designers add new template designs every 2 weeks. 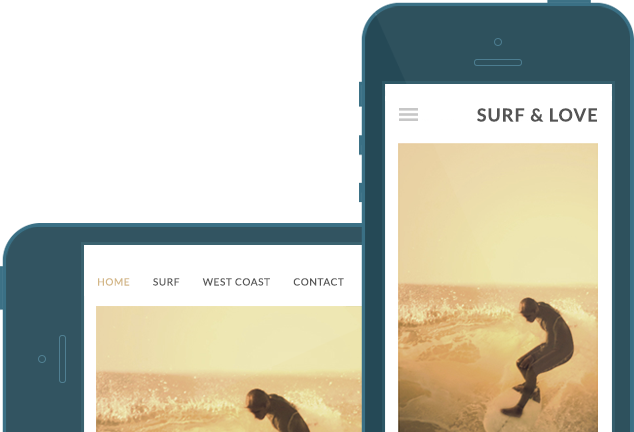 Change your template any time to give your site a whole new look. Create a site and check it out on your phone and tablet. No credit card required. Got some questions? Our team of in-house experts have got all the answers. Our professional designers make sure that every site is something to be proud of. New designs are released every 2 weeks and included free with our business plan. Rotate each device 90 degress and see your content adapt instantly.